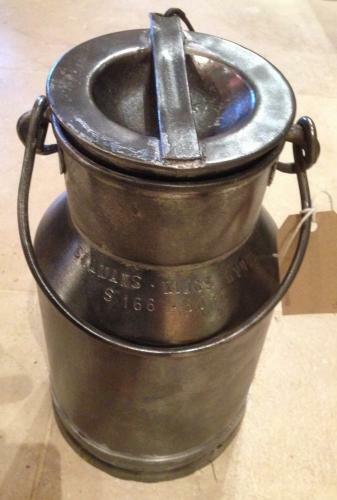 Vintage Cream Churn in good condition with owner's name SEAMANS KINGS LYNN stamped on neck. Ideal to store porridge oats or cat food etc or firelighters by the fireside. Lid fits well and has it's connecting chain.